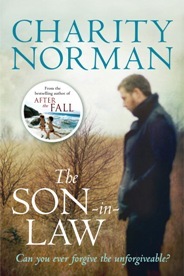 I have just finished reading Charity Norman’s latest novel, The Son-in-Law and what a fabulous read it turned out to be. I was so gripped by this wonderfully complex tale that I did not want to finish it. The final page was a bitter-sweet experience – a mixture of huge enjoyment for a story well told amid a sense of loss that there was no more to be read. It’s not often that I read a book that is as immensely satisfying as this one. So, what is it, you are probably asking, that makes it so good? Joseph Scott is the son-in-law. Four years ago, in a fit of rage, he killed his wife Zoe in front of their three children. He was sentenced for manslaughter; served four years of his sentence; and is now out of prison hoping to start a new relationship with his children. This article is part of our Holiday Reads 2013 series. These are Charity Norman’s recommendations. Her new novel The Son-in-Law will be published next month. You can find our review here. I’m imagining the kind of holiday that involves long hours in a hammock with a glass of something cold – or possibly by the log fire in a Scottish glen – rather than one of the wholesome variety that involve blisters forming under the walking boots, the husband peering at the map, and teenagers asking why are we here, and please can we go somewhere sensible next year? So – what books would I pack for the hammock or hearth? Well, let’s start with something to bring on that languorous holiday feeling. Joanna Trollope’s recent Daughters-in-Law, for example. Atmospherically set under the vast skies of Suffolk, the novel explores family tensions – something Trollope does so incisively. A controlling matriarch struggles to let go of her sons, while her three daughters-in-law each in their own way fight back. The result? Chaos. 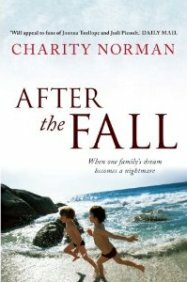 After the Fall is the great new novel by Charity Norman. On the cover, it claims that it will appeal to devotees of both Joanna Trollope and Jodi Picoult. Well, being a huge fan of both these authors, I felt in a good position to judge and I was not left disappointed. After the Fall definitely ranks along side my favourite Picoult and Trollope books. After the Fall is set in New Zealand and follows the tremulous fortunes of the McNamara family. At the start of the book they are still living in England but struggling after Kit’s business has gone bust.